The sun smiles on this newly married couple. 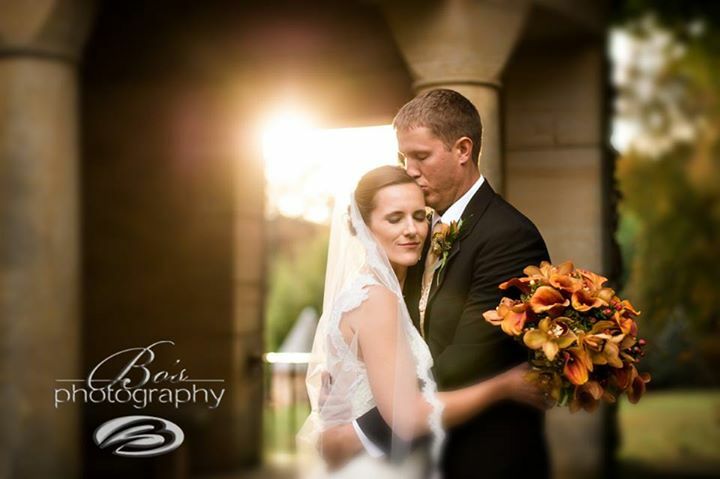 The first day of November started out cold and windy but the weather did not dampen the spirits of this couple. Their wedding was moved from the White Garden at Graylyn Conference Center into the Atlantis Room overlooking the garden.